App in the Air is the premier personal travel assistant for frequent fliers, a virtual meeting place for avid travelers of both business and leisure. Founded by tech entrepreneur Bayram Annakov in 2015, App in the Air’s audience has grown from a small network of dedicated travelers to over one million active users with 20 million itineraries tracked per year. The app covers the three phases of post-booking travel – pre-trip, day of travel and post-trip. It keeps track of all itineraries (past, present and future); boarding passes; and frequent-flier programs connected to the user’s email from across all airlines. 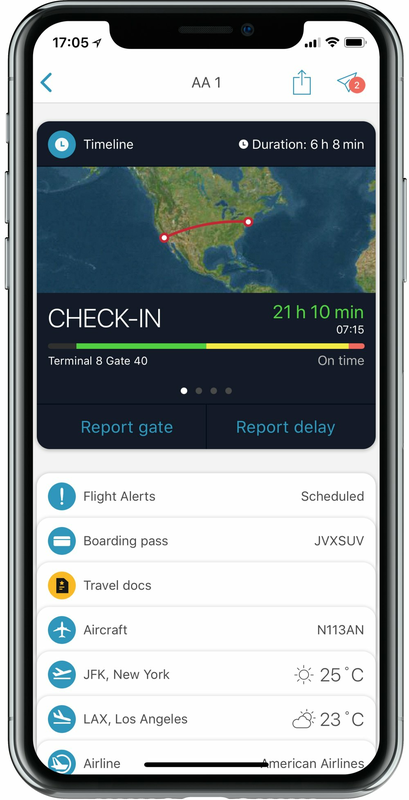 Users can track their boarding and landing times, receive real-time updates for delays, wait times for check-in and security, and even allow users to check if their carry-on meets airline dimensions standards. App users can also search tips from other travelers for which airport coffee shop is open at 5 am, little-known places to charge your phone and even connect with nearby people booked on your next flight. Following the trip, users can submit feedback about their experiences – how the airport was, notes on the specific flight, etc.